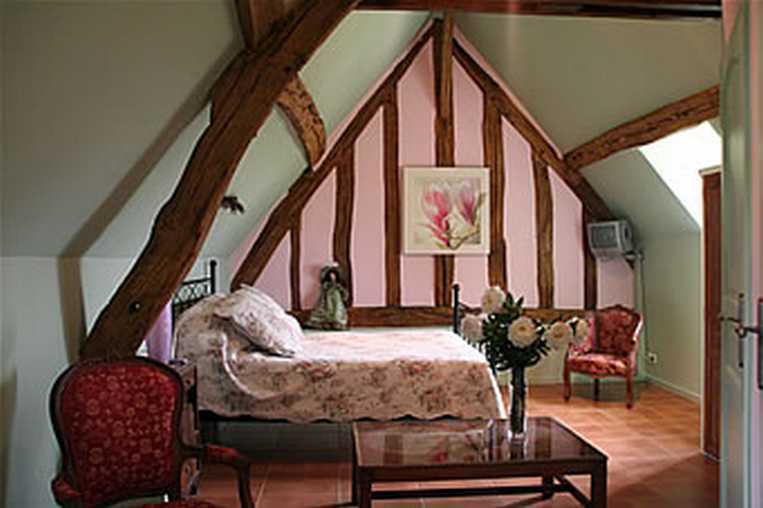 Country Manor of the 17th century and early 19th century, La Gentilhommiere de Normandie, B & B, located in Upper Normandy, in the Eure, near gardens of Giverny, the home of Claude Monet and Impressionism Museum of Giverny. 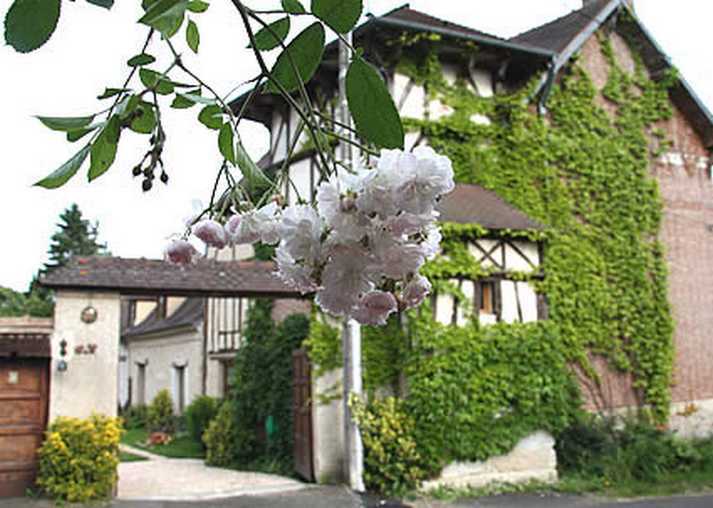 Nearby also Andelys and Chateau Gaillard, the castle of Richard Cœur de Lion. 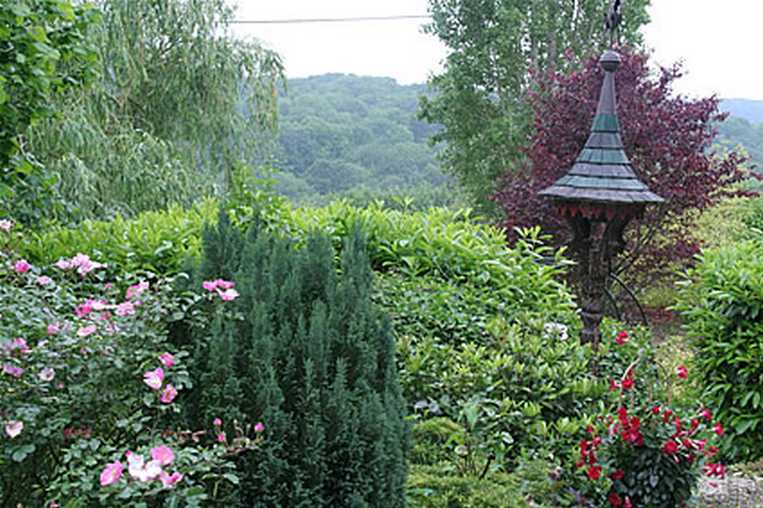 Upon entry of the B & B in La Gentilhommiere de Normandie, calm awaits you with a first small garden. 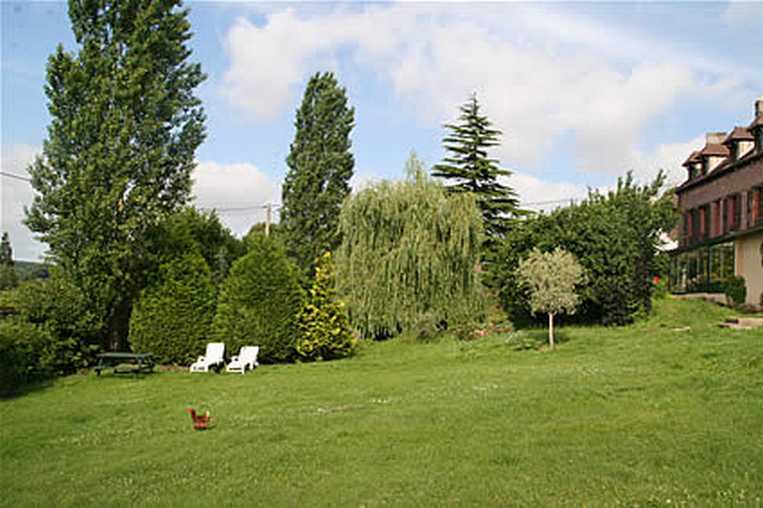 The winter garden, the veranda of charming guest rooms at La Gentilhommiere de Normandie, you will rest regardless of the season, and the large flower garden and trees awaits you with deckchairs. Nice reward after visiting the castles, parks, abbeys and traditional villages. 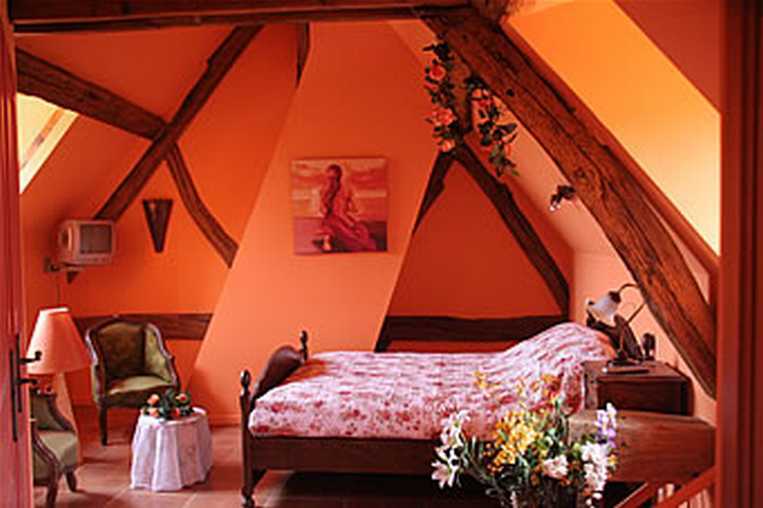 La Gentilhommiere de Normandie, will seduce you with its timbered rooms, or adorned with antique furniture, all with their contemporary comfort. All bathrooms are tiled, with hydromassage shower, hairdryer, towel warmer and magnifying mirror. We are pleased to accept your little 4-legged companions under certain conditions. Our friends smokers are welcome in our garden, the house is strictly non-smoking (smoke detectors). 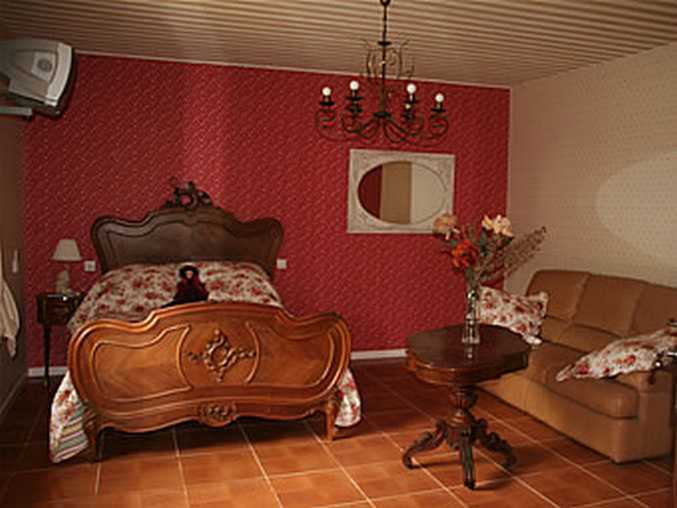 All of rooms are air-conditioned/heated. Each one has television, plus high-speed access to Internet. 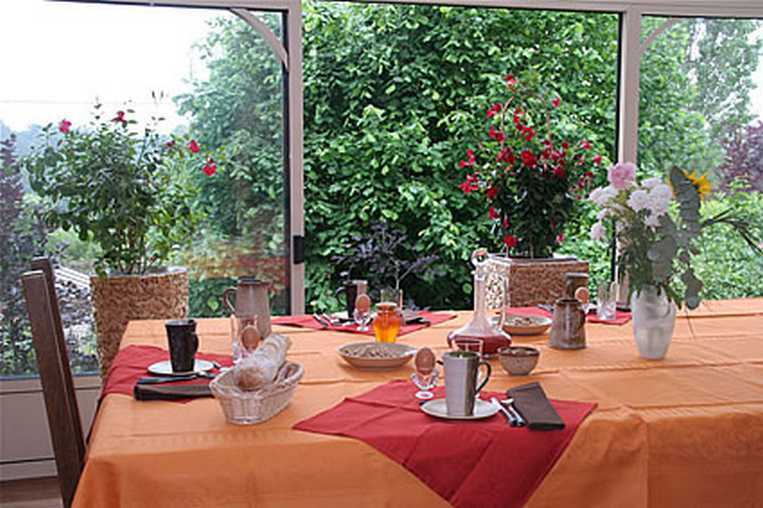 La Pastorale: Charming room on the ground floor with a private entrance with a view of the garden. Spacious, La Pastorale with colors from another epoch will seduce you with its beautiful family heirlooms, with a bed that had a carved head-board, as well as its magnificent antique wardrobe. You can relax in a comfortable leather upholstered sofa. Just as attractive, its cozy bathroom with its old-fashioned tiles. La Pastorale has a full body massage shower, with a hairdryer and a towel-dryer. For your comfort, the Pastorale offers private toilets separate from the bathroom. 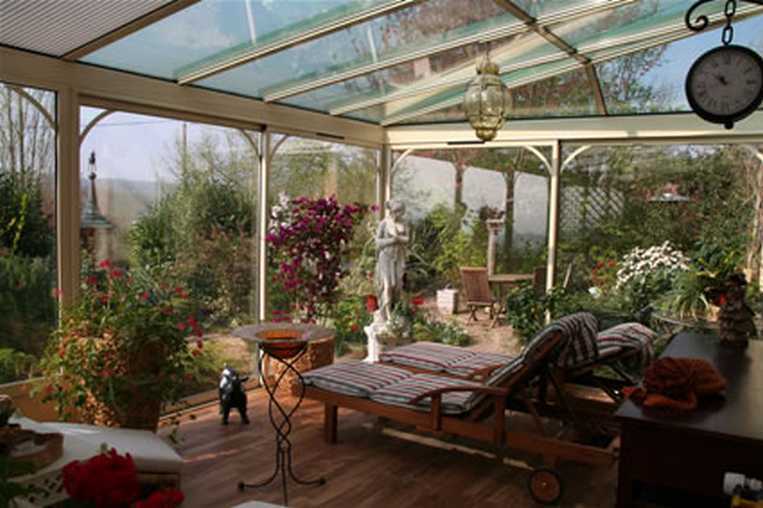 La Chaleureuse: Room with character, which has a separate entrance and a view of the valley. Spacious, warm, with lively colors, with its own salon. Its beautiful apparent beams and stucco will attract you. Just as attractive, its cozy bathroom with its old-fashioned tiles. La Chaleureuse has a full body massage shower, with a hairdryer and a towel-dryer. For your comfort, La Chaleureuse has private toilets (with authentic stucco-work) separated from the bathroom. For your enjoyment, we propose our billiard table A game of French or American billiard? An initiation ? A game between you and your hosts? A way to spend an agreeable moment after a full day. Thank you for your exceptional hospitality. Your website worked very well, you accepted a very late arrival with grace and god humor, and the facilities were beautifully presented. Your restoration has been careful and attentive, and yet the level of modern comfort is subtle and effective. I especially liked the full-body massage shower. breakfast on a gorgeous open patio, shaded from a warm sun and in a light breeze, with mourning doves and swallows, looking down on the picnic table under the willow by the pond, was delicious. I'm sitting there as I type and the provisioning of high-speed internet in this charming room is a nice touch. See the direction on our web site.